The events of Karbala arose in the 61 AH as a result of the Prophet’s grandson, Sayyiduna Imam Hussain (may Allah be pleased with him) refusing to give his support to Yazid, who had become the leader of the Muslims at the time. 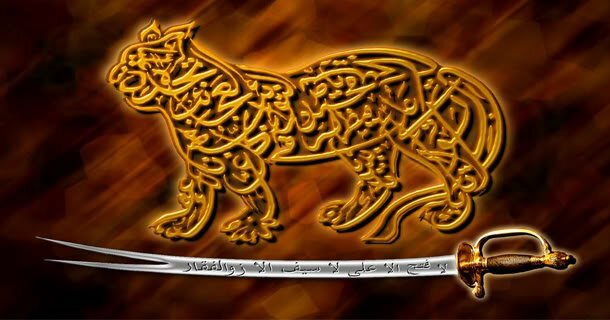 Yazid wrote a letter to the governor of Medina at the time, asking him to demand allegiance from Sayyiduna Hussain (RA) or to threaten him with death. Sayyiduna Imam Hussain (RA) had received letters from the Muslims from the town of Kufa (Iraq) saying that they would support him if he challenged Yazid’s leadership. Gathering his supporters of about one hundred family members and friends, Sayyiduna Hussain had therefore set out from Medina to go to challenge Yazid. But on the journey, Sayyiduna Imam Hussain (RA) and his companions, including women and young members of the blessed family of the Prophet (pbuh) (Ahl-e-Bayt) were met by and challenged by Yazid’s army in a place called Karbala in Iraq, and the Battle of Karbala took place. During the battle, Sayyiduna Imam Hussain (RA) and all of his men were martyred, and the women in his family were taken prisoners. This day is known as the day of Ashura which falls on the 10th day of Murahham. On this day the Muslim community commemorates the martyrdom of Imam Hussain (ra) and his family. 2. Accomplishing a wider mission of spreading the message of the battle. There was a role for both men and women in battle. The main role of the men was to take part in the physical battle, to fight Yazid’s army in the battlefield and we have heard the tragic stories of what went on in the battlefield. The Women did have a role in supporting and encouraging the men who participated in the actual battle. However, the main role of the women can be seen in the second element, in spreading the true account of Karbala after the event and delivering the messages from the battle. The account of one woman in particular stands out. That woman was Zaynab bint Ali, the sister of Imam Hussain (RA). After the martyrdom of Imam Hussain (RA) at Karbala and his male companions, all the women and children were arrested and taken to Damascus in Syrian on camelback via Kufa. During the journey, the women were deliberately kept tired and hungry, and were mistreated. This was on top of the grief they were all suffering as a result of the martyrdoms of their male relatives. Yazid’s aim was to publicly humiliate them to and ridicule them to the point where Imam Hussain’s (RA) followers lost all public support. However, Sayyida Zaynab, a brave and bold woman, addressed Muslims everywhere along the way, exposing Yazid and his evil actions, his un-Islamic acts, and telling the Muslim world about the atrocities that were committed in Karbala. Sayyidah Zaynab and the Imam’s entire family were kept in prison in Damascus in Syria. They were brought to Yazid’s court, and Sayyida Zaynab gave a famous speech in which she rejected Yazid’s claims of being the caliph – or leader of the Muslims – at the time and thoroughly exposed him for what he really was. Sayyida never shied from her mission, so much so that Yazid had to release her and the Imam’s entire family, they were sent back to Madina. The speeches of Sayyida Zaynab and her female companions fulfilled the role of carrying forward the messages of Karbala that we are hearing about today. Imagine if Imam Hussain (RA) had taken the advice of his advisers and set off to meet Yazid without his family – without their accounts, the true story of what happened in the battlefield may never have come out. Syeda Zainab’s role was exemplary, It showed how bold Muslim women were and how they played a key role in consolidating Islamic teachings. Today, despite so much progress and the spread of education, so many Muslim women are suppressed, they are thought of as having no role outside the home at all. However, here was Princess Zainab from the Imam’s family who became a public speaker to save Islamic values. Sayyida Zaynab was the eldest Princess among the women of the Imam’s family. The leadership of the family thus fell to Sayeda Zaynab, and she proved to be more than what was expected of her. Today, women have to learn much from her example and leadership qualities. Her public role in the Karbala saga has much to teach us. It shows that the attitude we sometimes come across that women have no place outside the home and cannot take any kind of role in public life does not fit the history of some of the greatest and most influential women of early Islam. There are great lessons to be learnt from the other honourable women who played a role in Karbala too. The sacrifices they made are unspeakable. They sacrificed things a thousand times greater than the sacrifices we complain about. They lost their husbands, brothers, and children, their protectors and their hope – they lost everything until there was nothing more left for them to loose. They lost everything, and yet they stayed strong for the sake of Allah, for the sake of spreading Imam Hussein’s (as) message. May Allah (swt) enable us all to follow the example of these great noble women, and to spread the message of Islam in whatever way we can and be prepared to make sacrifices for the sake of our Deen. The Imam was right: his women played a pivotal role, particularly the Imam’s sister, Hazrat Zainab. After the martyrdom of Husain and his colleagues, Imam Zainul Abidin and all women and children were arrested and taken to Damascus on camelback via Kufa. Bibi Zainab, a brave and bold woman, addressed Muslims everywhere along the way, exposing Yazid and his evil actions and un-Islamic acts. 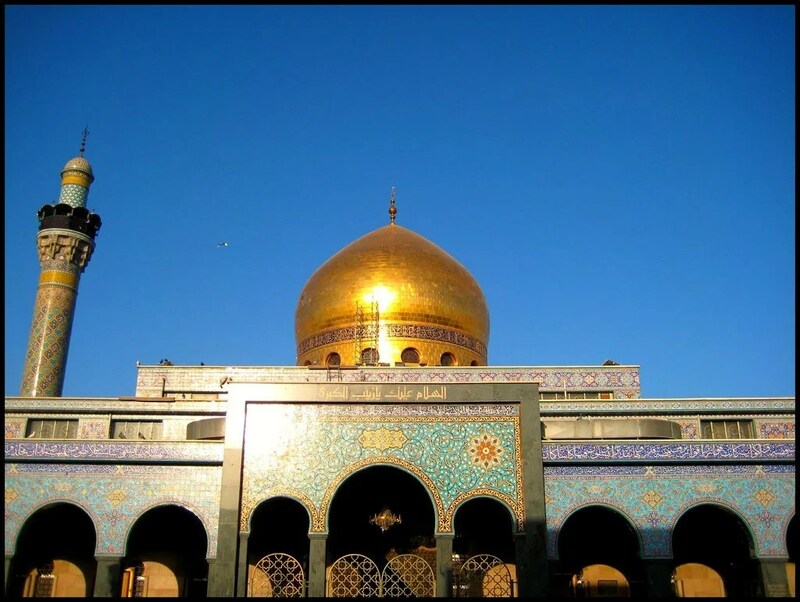 Bibi Zainab and the Imam’s entire family were kept in prison in Damascus. When they were brought to Yazid’s court, Zainab eloquently spoke in front of Yazid’s courtiers and thoroughly exposed him. She never shied from her mission, so much so that he had to release her and the Imam’s entire family. They were sent back to Madina with their security being ensured. 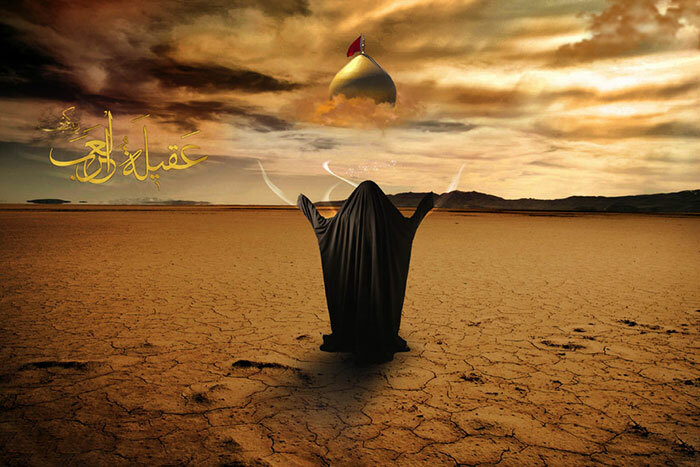 Syeda Zainab’s role was exemplary. It showed how bold Muslim women were and how they played a key role in consolidating Islamic teachings. Today, despite so much progress and the spread of education, so many Muslim women are suppressed. In Saudi Arabia, for example, even a woman’s voice is considered ‘awrah i.e. so that it should not be heard in public; and here was Zainab from the Imam’s family who became a public speaker to save Islamic values. Zainab was the eldest among the women of the Imam’s family, including Imam Zainul Abidin who was very unwell at the time. The leadership of the family thus fell to Zainab, and she proved to be more than what was expected of her. Today, women have to learn much from her example and leadership qualities. Her public role in the Karbala saga has much to teach us. It is wrong to think, as many Muslim men do, that women are weak and cannot achieve much in the public domain. Hazrat Zainab’s role is a wake-up call for those who feel that women are fit only for domestic chores and nothing beyond the confines of a house. Aside from the ladies of the Imam’s household itself, there were many other women who played important roles at Karbala. These were the wives and daughters of Imam Hussain’s companions. Imam Hussain then said to her, “May Allah bless you with His best rewards, return towards the women and remain with them, may Allah bless you, women aren’t supposed to fight in the war.” She returned to the tents. With his wife’s moral support, Abdullah was able to protect the Imam and became the second martyr of Karbala on the day of Ashura. When he died, Umme Wahab went to her husband’s body on the battlefield, and wiping the dirt from his cheeks she said, “May paradise of Allah be pleasant for you! I ask Allah, who bestowed upon you Paradise, to make me your companion over there.” Just then, Shimr commanded his slave to hit Umme Wahab with a stick. The blow killed her, and she died at her husband’s side. Another family that had come to Karbala with the Imam’s caravan was that of Janada, son of Ka’b, who had come with his wife Lady Bahria and son Amr. When Janada died, Bahria sent Amr to help the Imam. Imam Hussain was hesitant to give the son permission to fight since his father had just been killed, and he thought that it would be too much of a trial for Bahria to lose her son too. The son told the Imam that it was Bahria herself who had dressed him for battle and sent him. So great was the strength of Bahria that she remained focused on the protection of the Imam when her husband had just been killed. She had grief, yes, but she managed it for a higher purpose, which would not be an easy task for anyone in such circumstances, man or woman. From her tent Bahria watched her son wage battle, and after Amr was martyred, Bahria herself went towards the enemy with an iron club. Such was her loyalty towards the Imam, she wanted to fight herself. In this instance also, Imam Hussain told her to go back, and she obeyed him and returned to the tents. It must have been tempting for the women to fight when they saw their imam was in danger, but despite their feelings, they had enough strength inside to obey their Imam’s command. They submitted to Imam Hussain’s authority just as the men had submitted, because they knew he was the true leader, that he cared for them, and had a higher purpose in mind. That purpose would only become clear after the battle, when they would remain behind to continue the Imam’s mission. Not all the women had relatives who were Imam Hussain’s companions from the start of the journey to Karbala. Some of the men switched to the Imam’s side during the journey, often due to the influence of their wives. Respecting her advice, her husband went, came back elated, and declared that he was going to remain in the Imam’s company and sacrifice his life upon him. When she bid her husband farewell, weeping, Dulham said, “May Allah be your helper and protector, bestow upon you good in this journey, and don’t forget to mention about this, my self-sacrifice, to Imam’s Grandfather [the Prophet] on the Day of Judgment.” Her weeping as her husband left was not an impediment to her sacrifice – it was a part of it. The women of Karbala contributed to the sacrifices for Islam in their own way at Karbala. These brave, pious, and modestly-attired women did not stand aside indifferently when they saw oppression taking place upon the household of the Prophet. If their male relatives were not on the side of the Imam, the women did not just keep quiet and do nothing. They used their influence in their families to encourage their husbands, sons, and brothers to support Imam Hussain, even if they would possibly have to mourn their own men. They wanted to save the Imam. Mourning the grandson of the Prophet would be worse. When the time was right, the women would speak out in their families and take a stand on the issue. The women who were at Karbala are a supreme example of how ordinary people can become extraordinary beings who serve the Imam of their time in their own ways. By spreading the news of the events at Karbala, these women ensured that Imam Hussain’s message of truth would continue to live on. These were not the first women to play crucial roles in the history of Islam, nor were they the last. From the Prophet’s first wife Lady Khadija, a prominent businesswoman who dedicated her wealth to the cause of Islam, to their daughter Lady Fatima, God’s example for all women, to Lady Masooma, the sister of the eighth Imam, to Lady Hakima, the great-aunt of the Twelfth Imam (may Allah hasten his reappearance), to the same Imam’s mother Lady Nargis, women have always played an important role in serving Islam. And while these abovementioned women are very special in their own right, most of all Lady Fatima, all women today have these examples to inspire them. Finding her own way to serve the Twelfth Imam even while he is in occultation is what each and every believing woman needs to do today. the most honorable position in the history of Islam for all times to come. pitched adjacent to the camp of the Holy Imam. 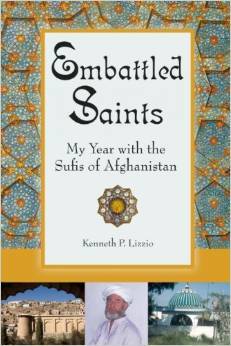 knows that I have been keen to fight against the polytheists for His sake. Āshura two slaves of Ubaydullah ibn Ziyad came forward for a single combat. the Imam’s permission to fight. He faced both the enemies alone and killed them. to be martyred on the day of Āshura, the first being Muslim bin Awsaja. history of Āshura was Rubāb, daughter of Imraul Qays, a wife of the Holy Imam. She was the wife of the Imam who accompanied him during his journey to Karbala. went to Kufa and Syria. became the father-in-law of three Imams. Āshura and she herself as well as her daughter Sukayna were made prisoners. towards the tents of Imam Hussain and shouted: “O children of Bakr bin Wa’il! at the doors of the tents of Imam Hussain. eldest daughter of Imam Ali. in the path of faith as her mother Fatima and her grandmother Khadija had been. tenth year when she died? of the Prophet of Allah? they had ceased to breathe, and suppressed the tumult. that they began to weep and lament. the bad luck and adversity in which they had involved themselves. on account of his being arrogant on his presumed victory in battle. disgraced and you have said that we have lied but lies are told by the wicked. the wicked and introduced the pure and sacred family of the Holy Prophet. believed them? Evidently Lady Zaynab could not keep quiet at this stage. be thankful to the Almighty Allah for this blessing.